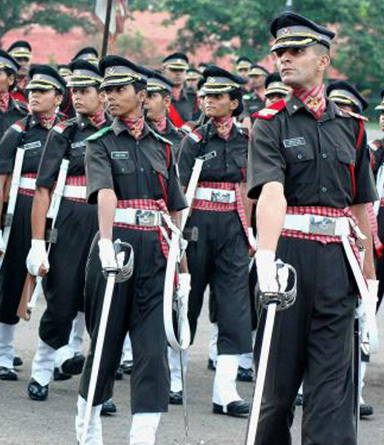 Services Selection Board (SSB) is an organization that vets candidates for admission into the Armed Forces of India. The board conducts personality and intelligence tests and interviews to determine suitability. Some tests are paper based while others involve group tasks or presenting to a panel of assessors. The SSB is held in specified central locations over a number of days. All except army medical corps members must succeed in the "SSB interview". There is no limit to the number of attempts that can be made. The interview involves a battery of psychological tests of personality, to assess the candidate's suitability for commission to the armed forces. The tests help the SSB select candidates with officer like qualities. The Services Selection Board is not concerned with the number of commissions available. Its responsibility is just to assess and then, recommend. Successful candidates have a medical examination and if satisfactory are recorded on a "merit list" before training and commission.